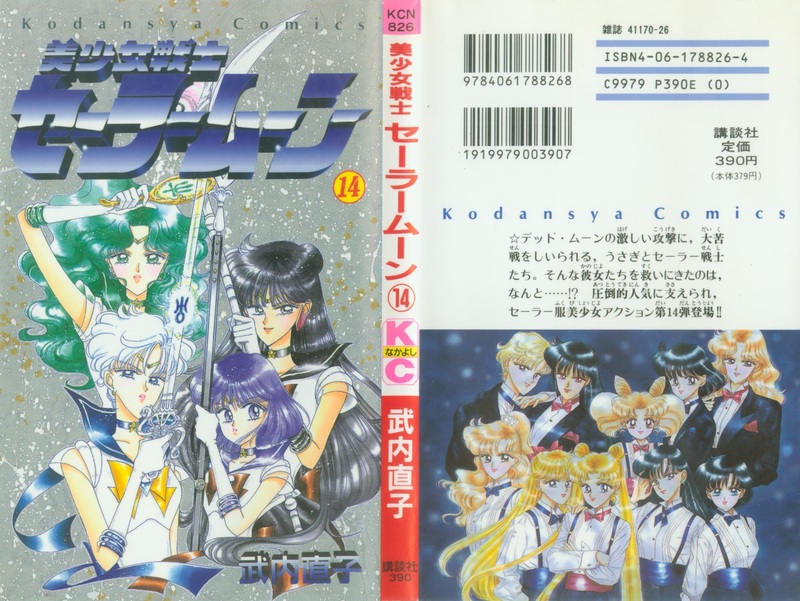 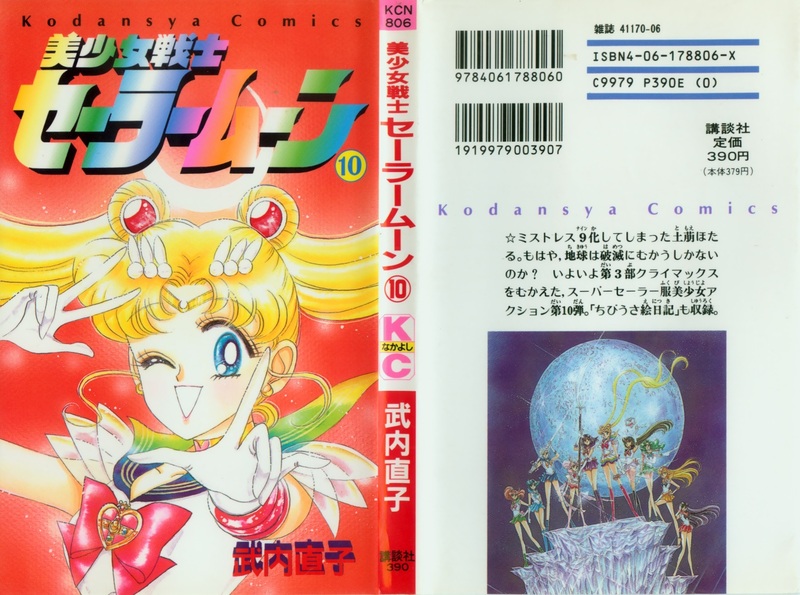 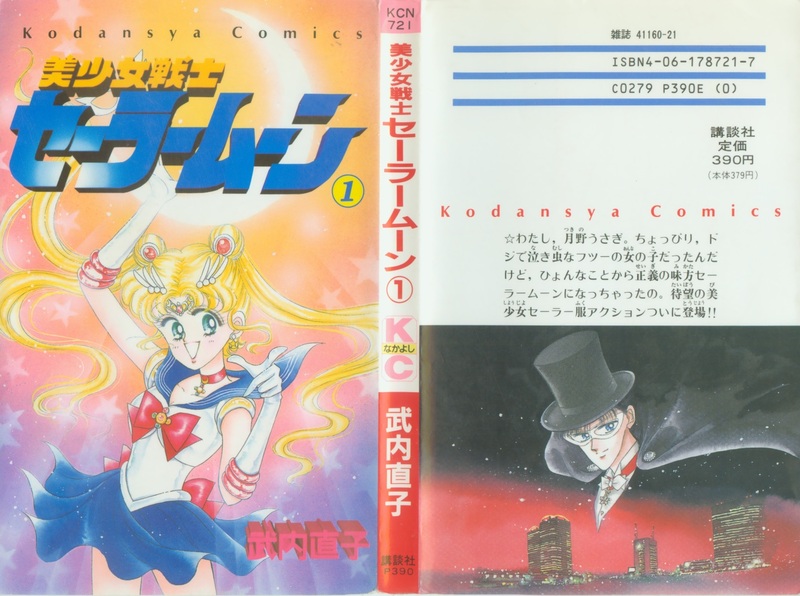 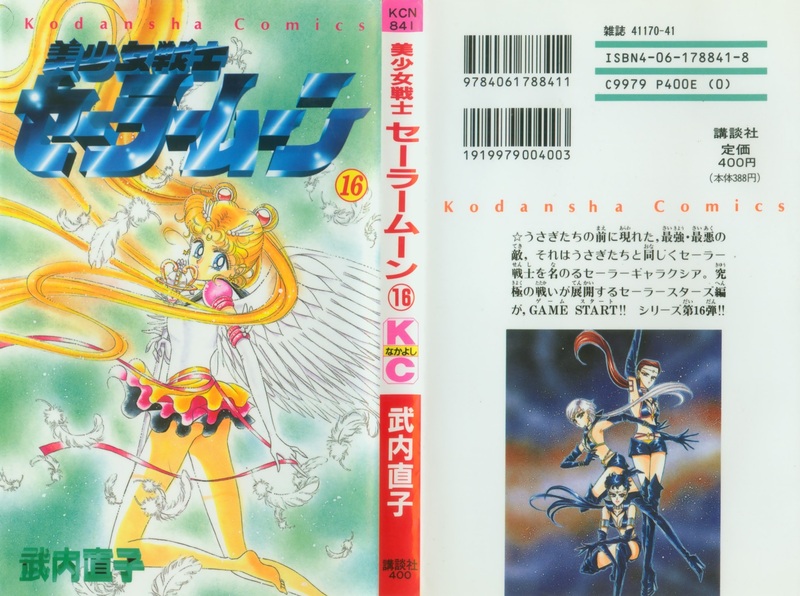 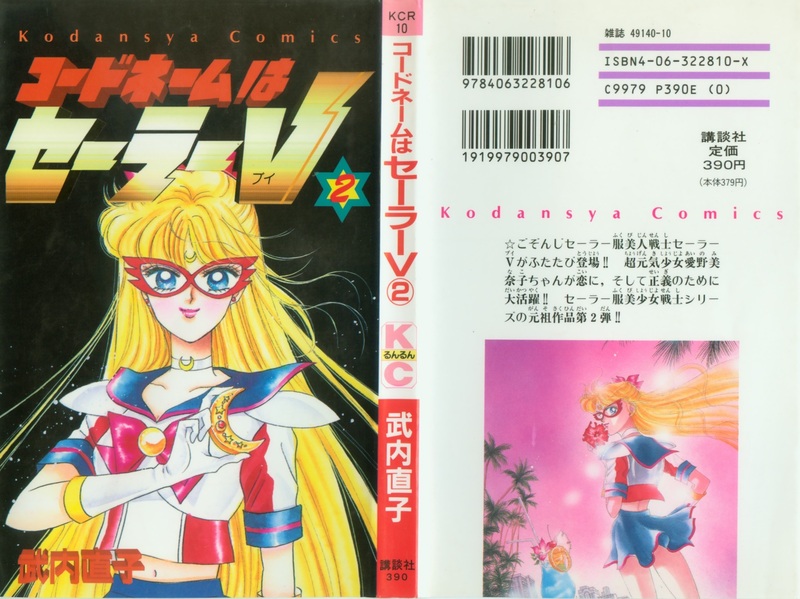 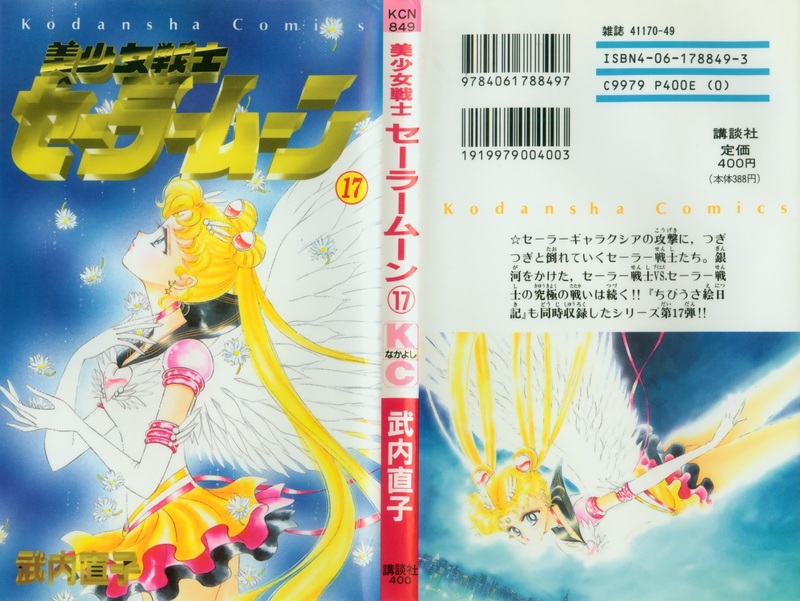 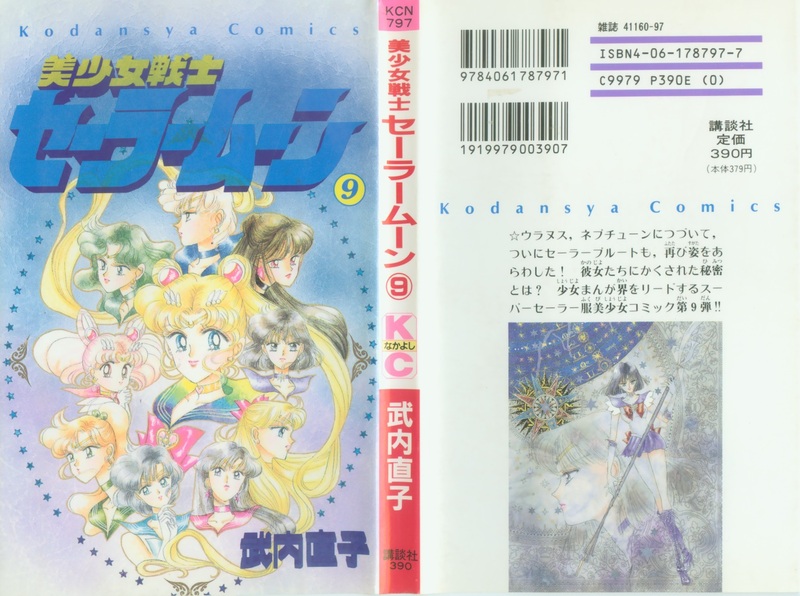 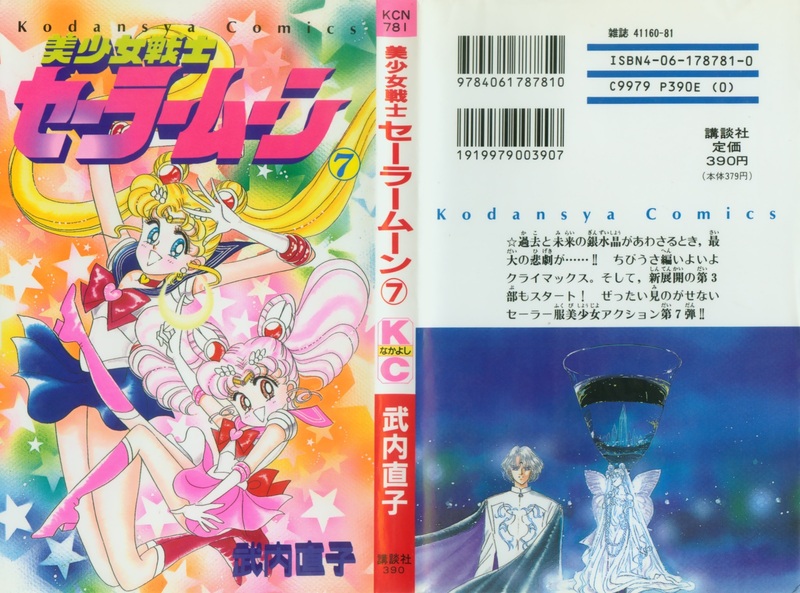 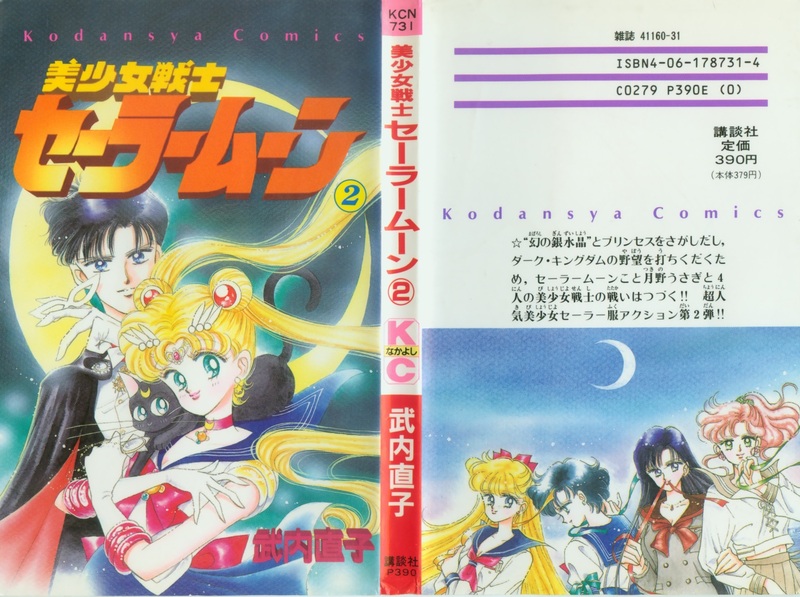 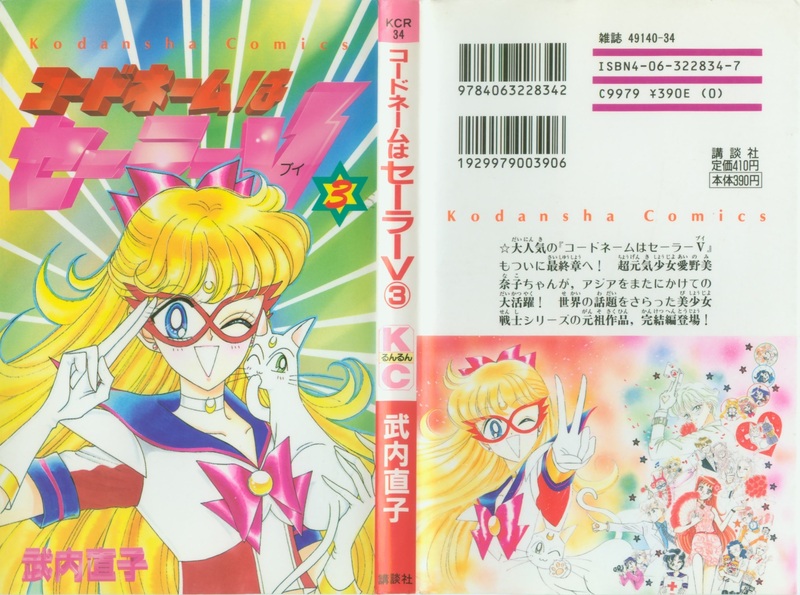 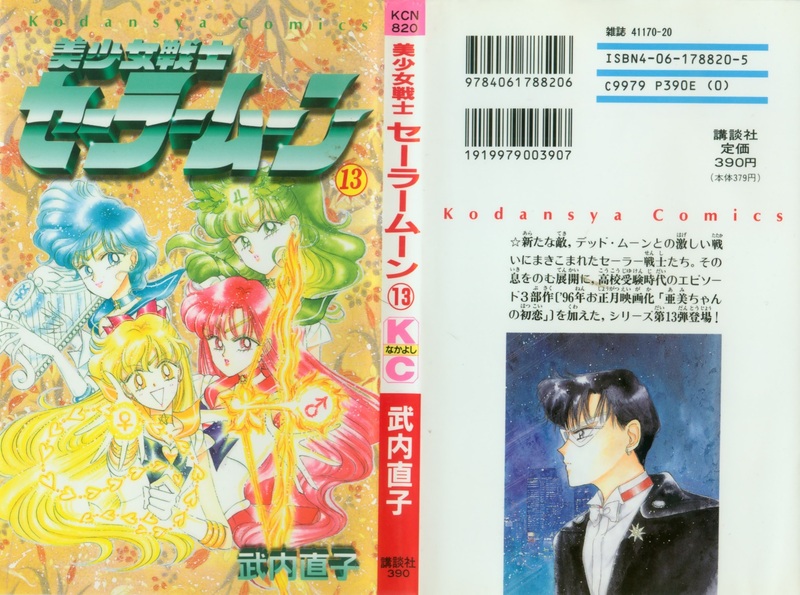 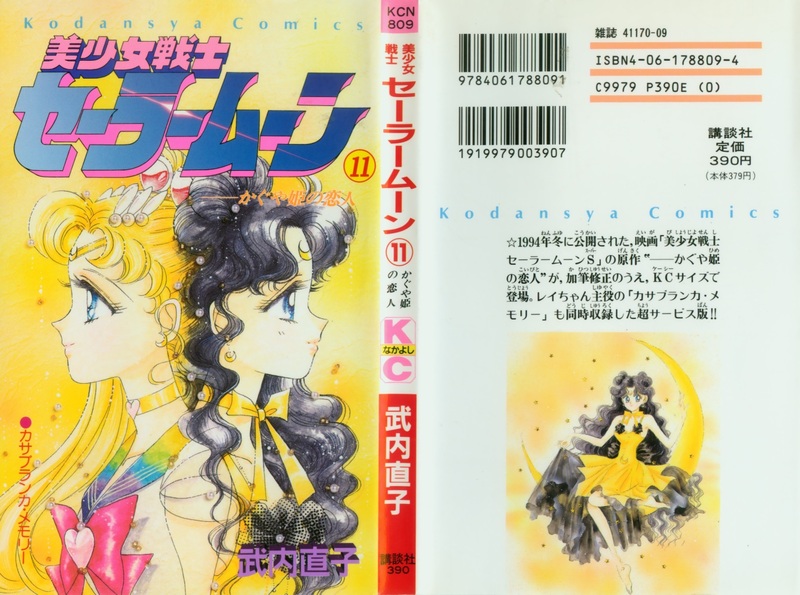 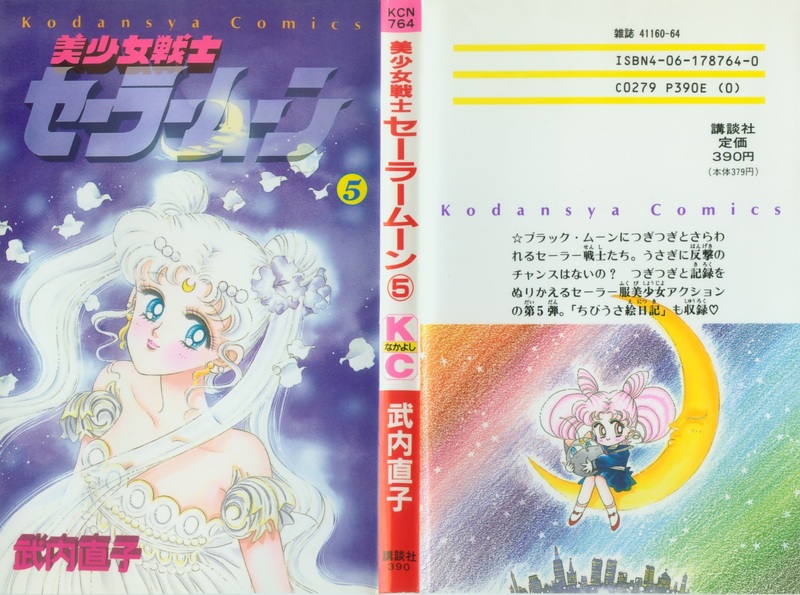 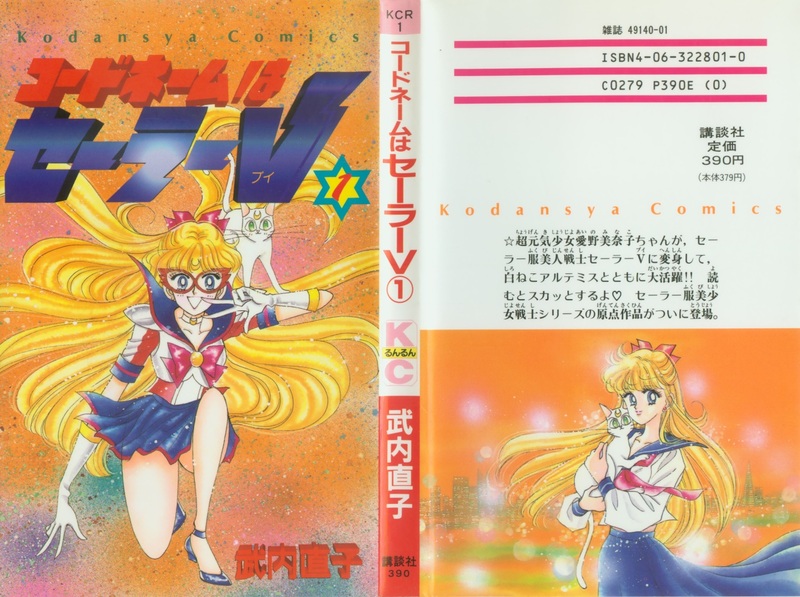 The Bishoujo Senshi Sailor Moon and Codename wa Sailor V manga were first reprinted in 18 collected volumes called tankōbon following publication in the monthly magazine Nakayoshi. 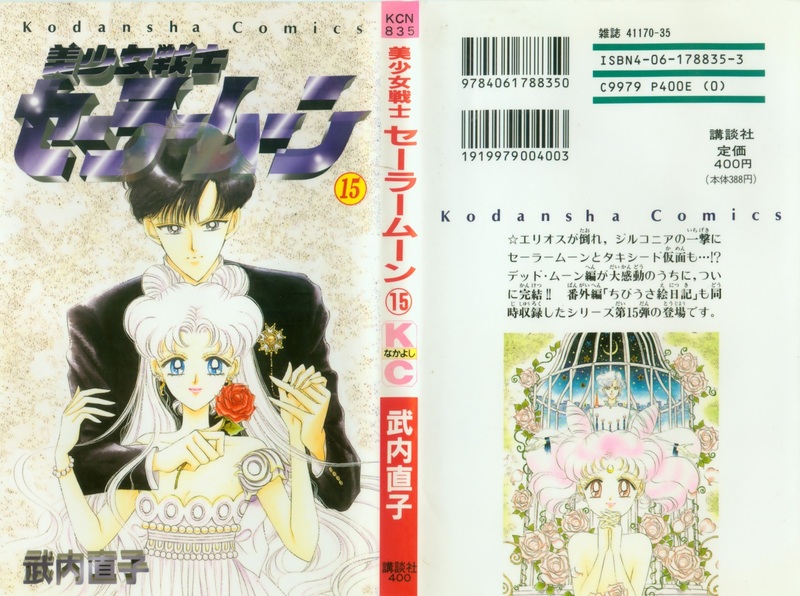 The color pages from the magazine serialization were reprinted in greyscale, however some volumes featured fold-out posters in full colour. 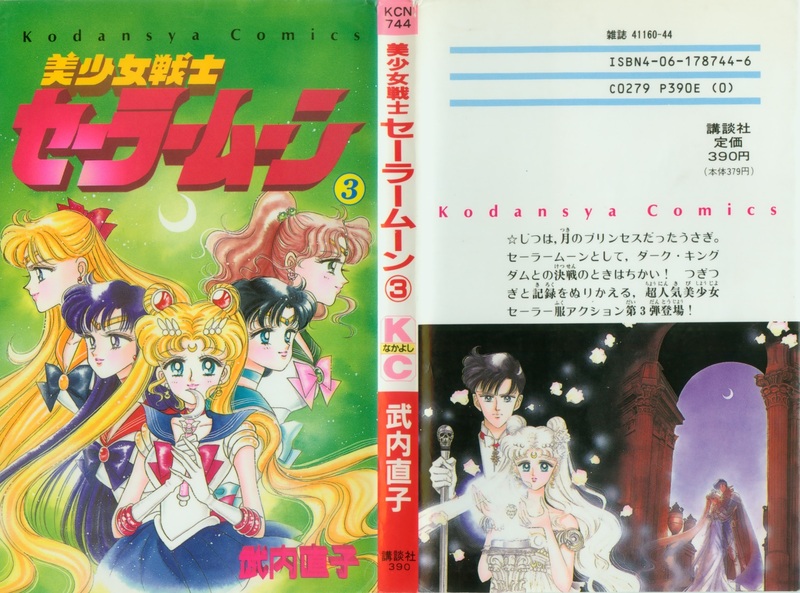 Liner notes were written by Naoko Takeuchi for each volume. 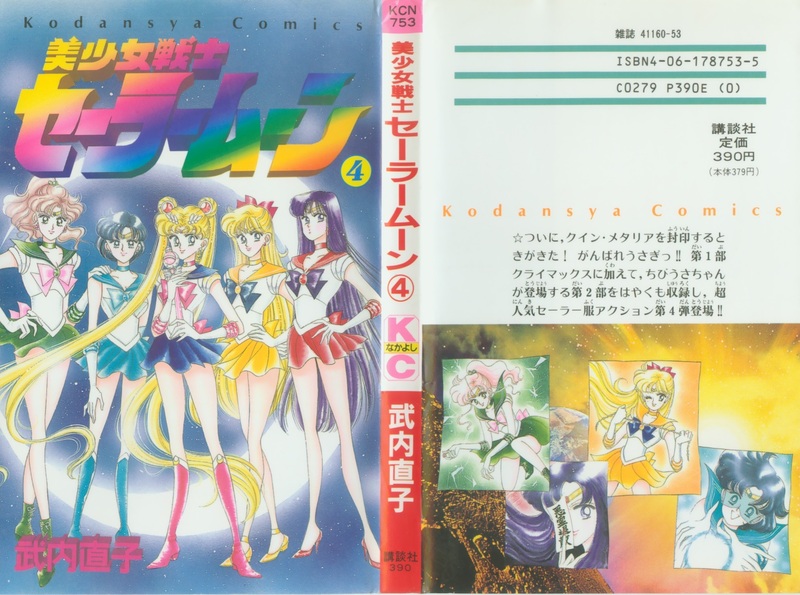 These liner notes do not appear in subsequent editions. 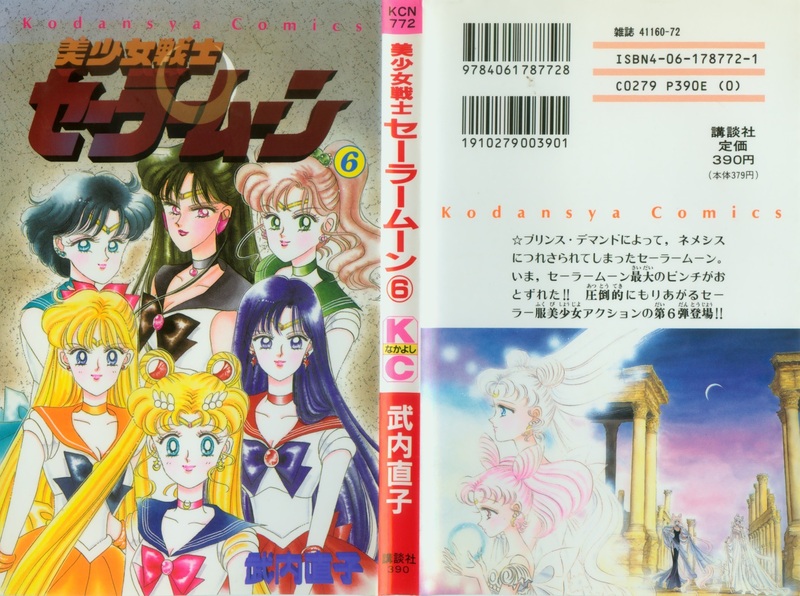 These volumes collect the 52 main story chapters, bonus stories (included throughout the volumes in order of publication date) and two side stories (vol 11). 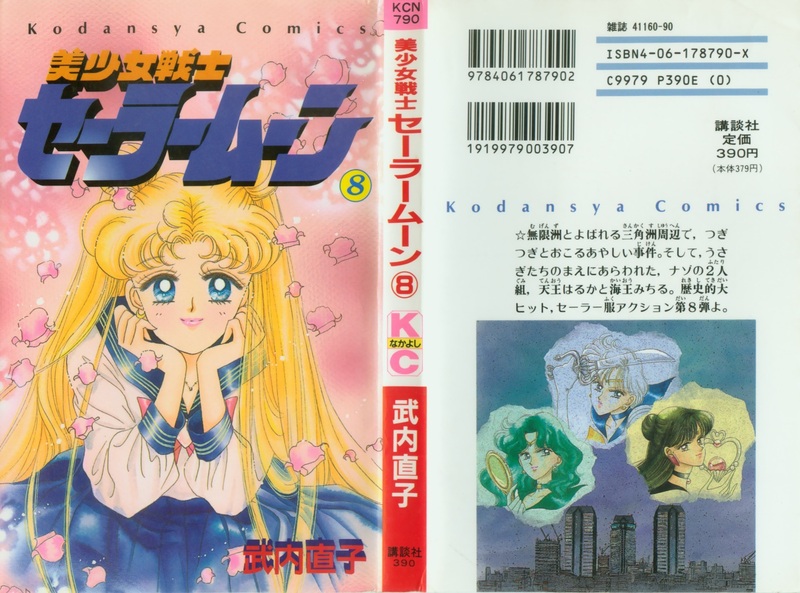 The side stories are Kaguya-hime no Koibito (“Lover of Princess Kaguya”) which was originally published in a standalone tankoubon with a larger page size. 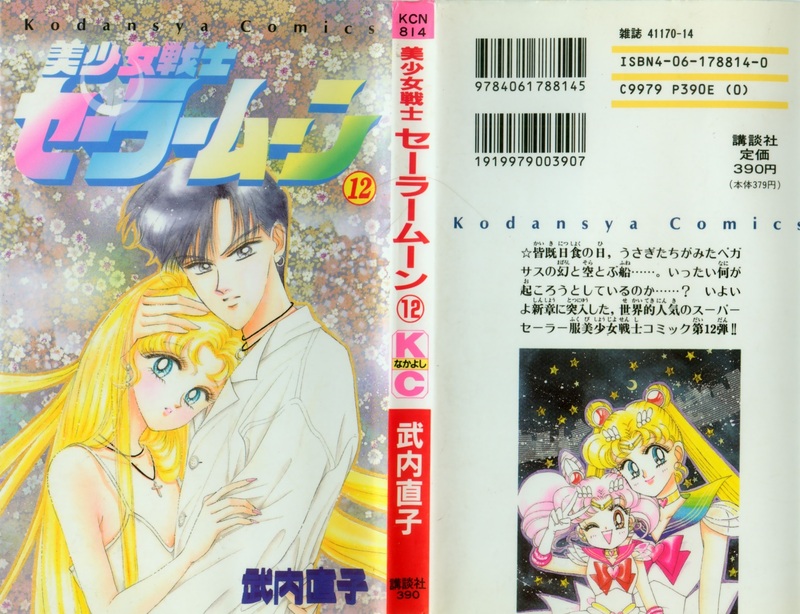 This story serves as the basis for the Sailor Moon S movie. 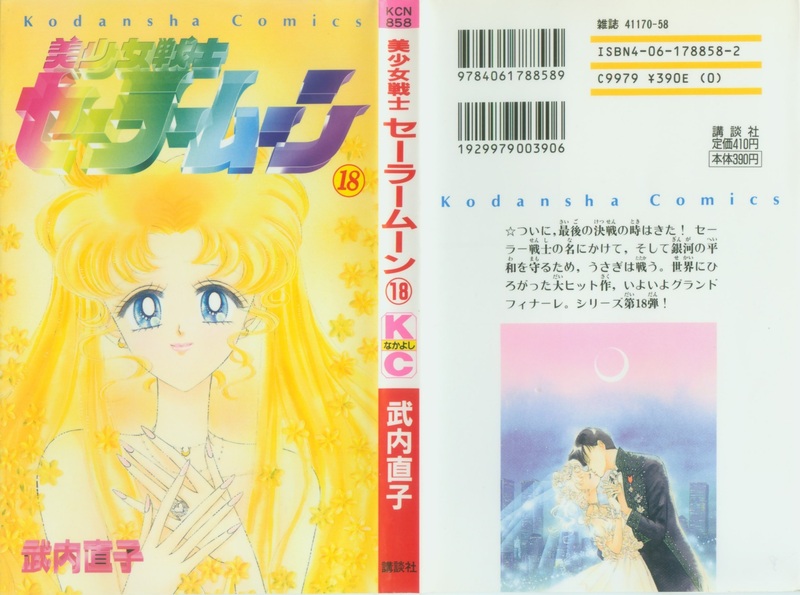 The other side-story is the Rei-centric Casablanca Memory.